Teachers carry children away from Briarwood Elementary school in Moore, Okla., after a tornado destroyed the school Monday. 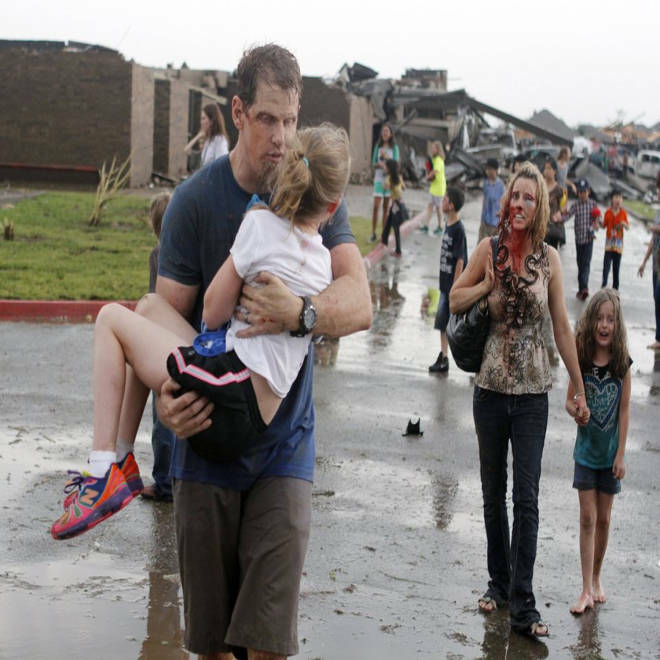 Heroic action was in no short supply Monday as a massive tornado blazed a trail of destruction through Moore, Okla.
Did you witness ordinary people doing extraordinary things? Share your stories, photos and video with us by email, or on Twitter using hashtag #OKheroes -- but only if it is safe to do so. Selected responses may be used in an upcoming story.